The usual yet very formal shades are ready to make your nails more colourful and vibrant. 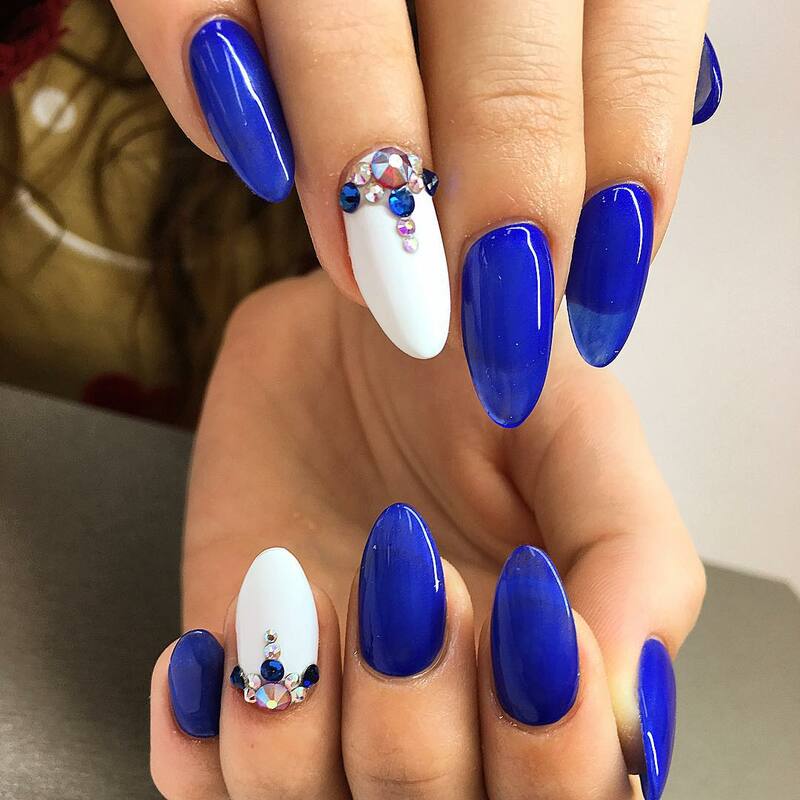 In past decades, the dotted blue and white nail design was very much famous. 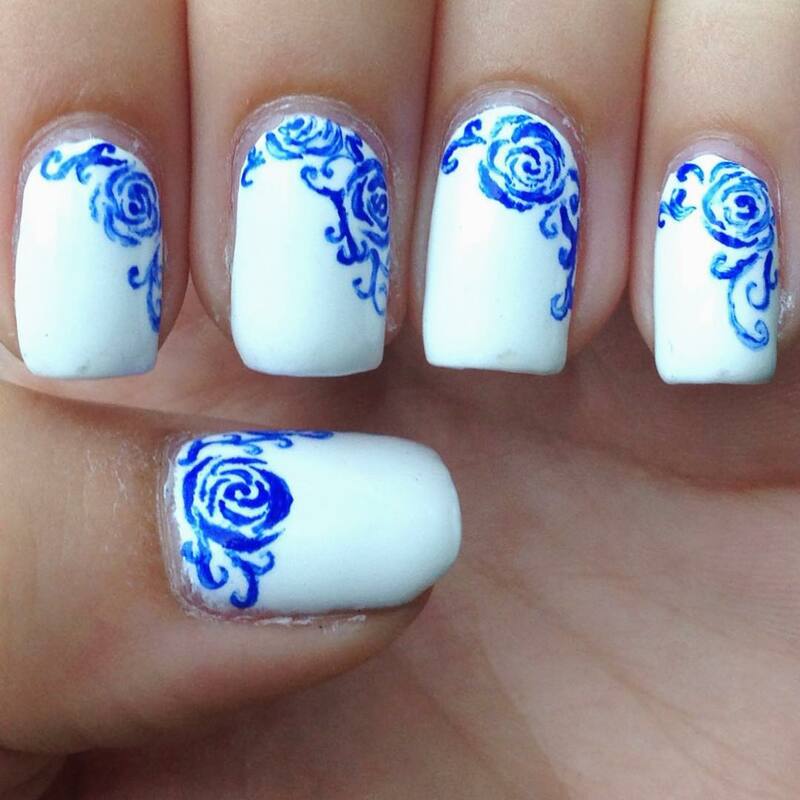 Block designs in blue and white colour combination were also very much popular to the teenagers in past too. 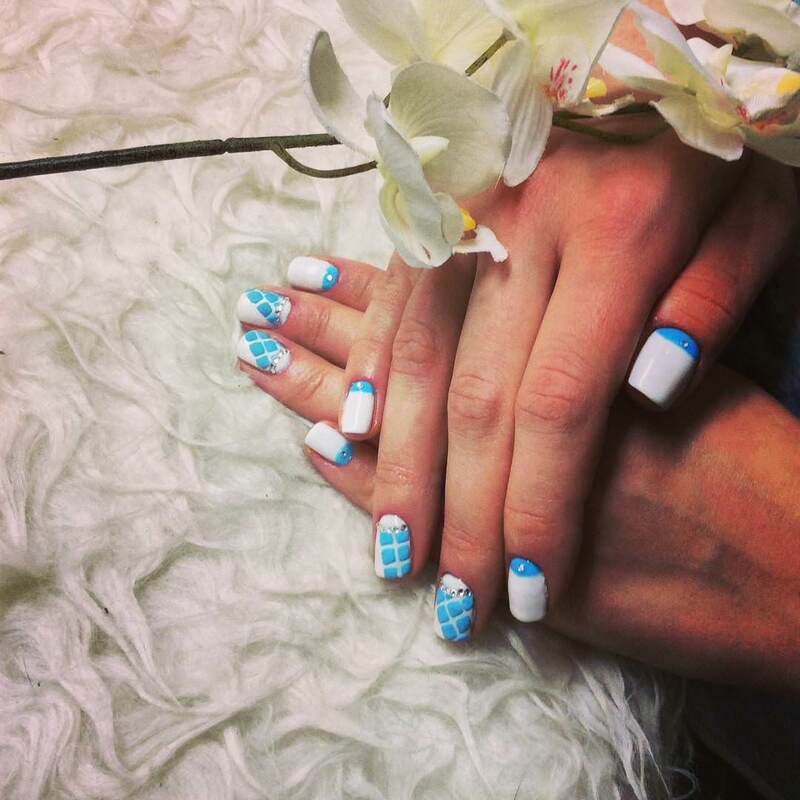 This white and blue nail art is for girls who want to ramp up their style quotient. 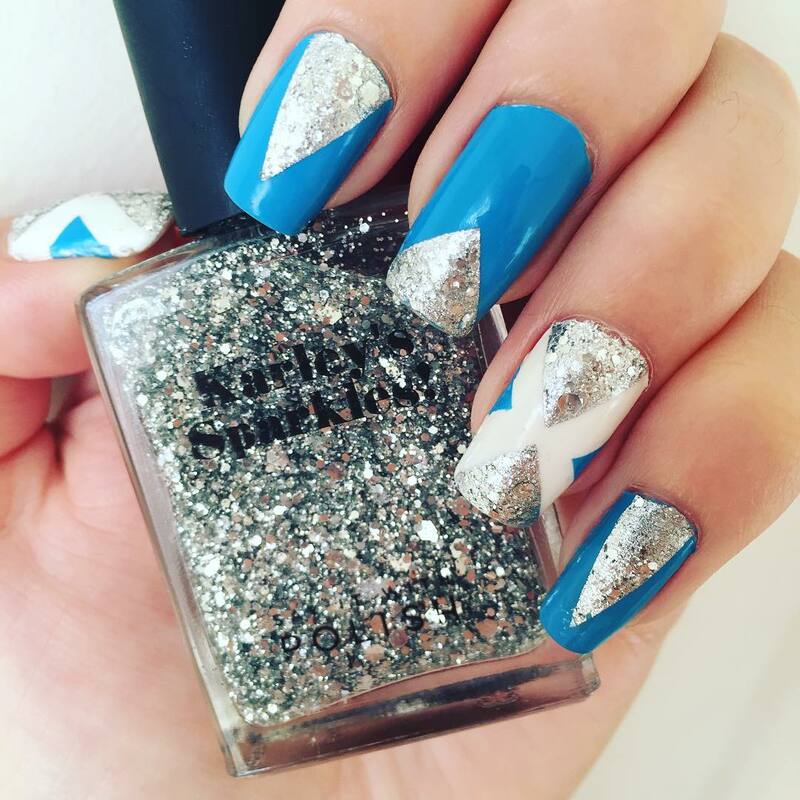 You can use nice and classy stickers to create this effect on your nails. 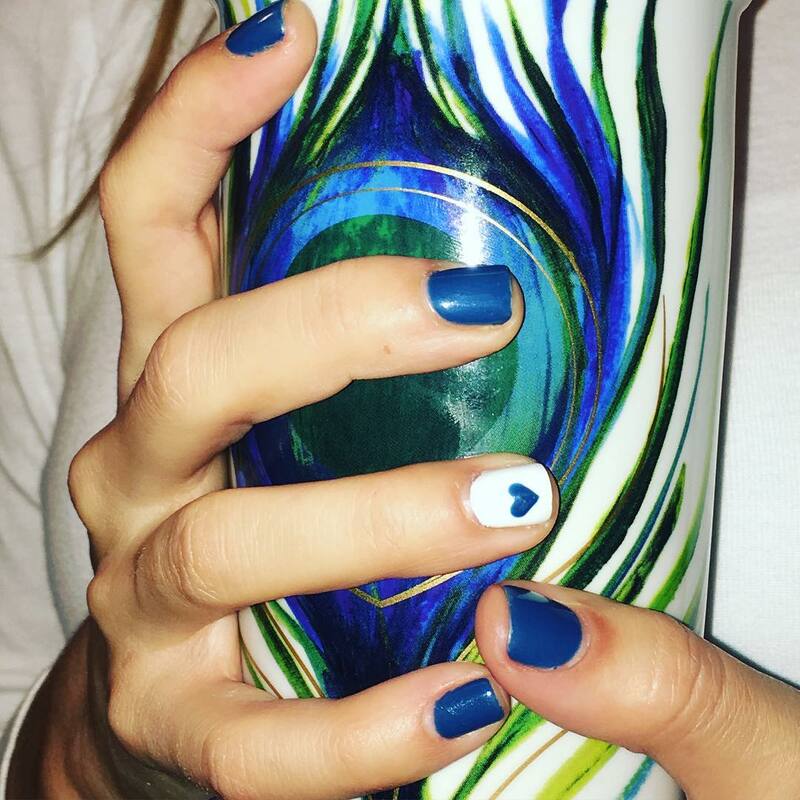 For women who like the sky like effect, this glossy nail art is a good option. 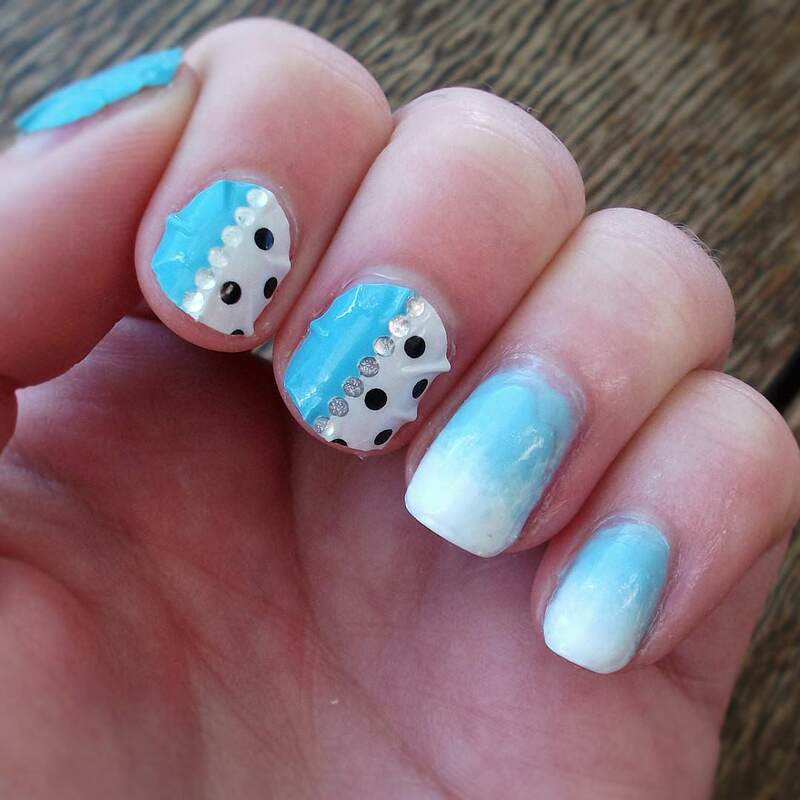 This style is easy to do and has a pattern that resembles the look of sky. 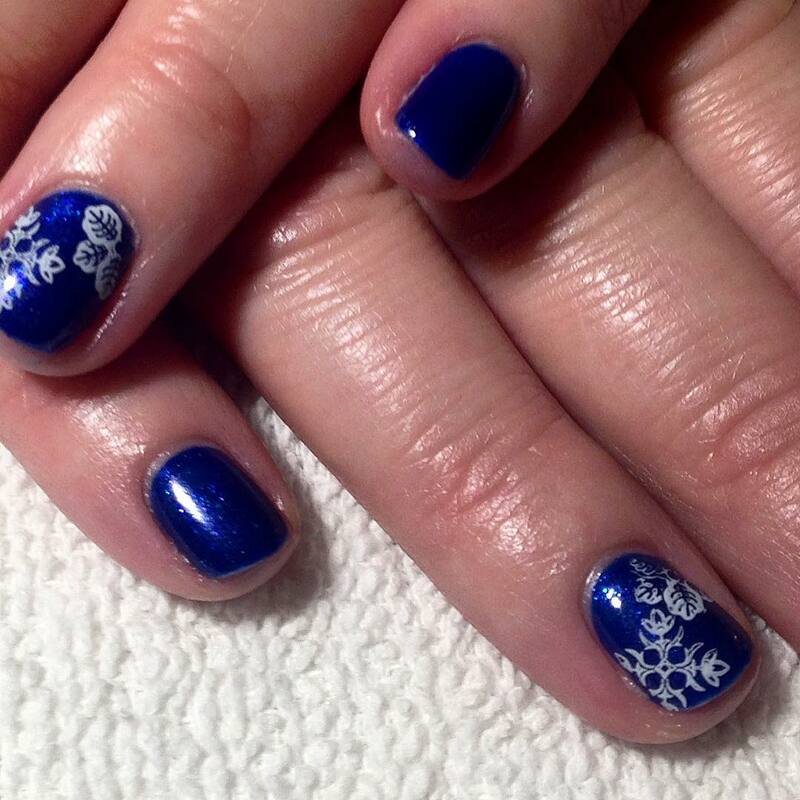 With the vibrancy of the colour blue, you can experiment it with white snowflake patterns. 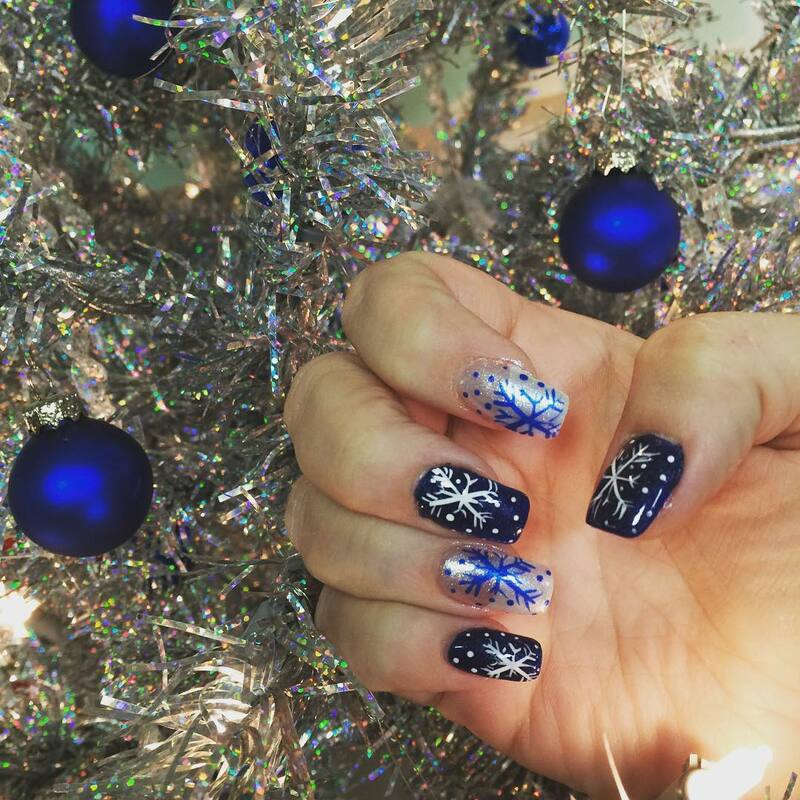 Draw neat and crisp snowflakes after coating your nails with glitter blue nail paint. 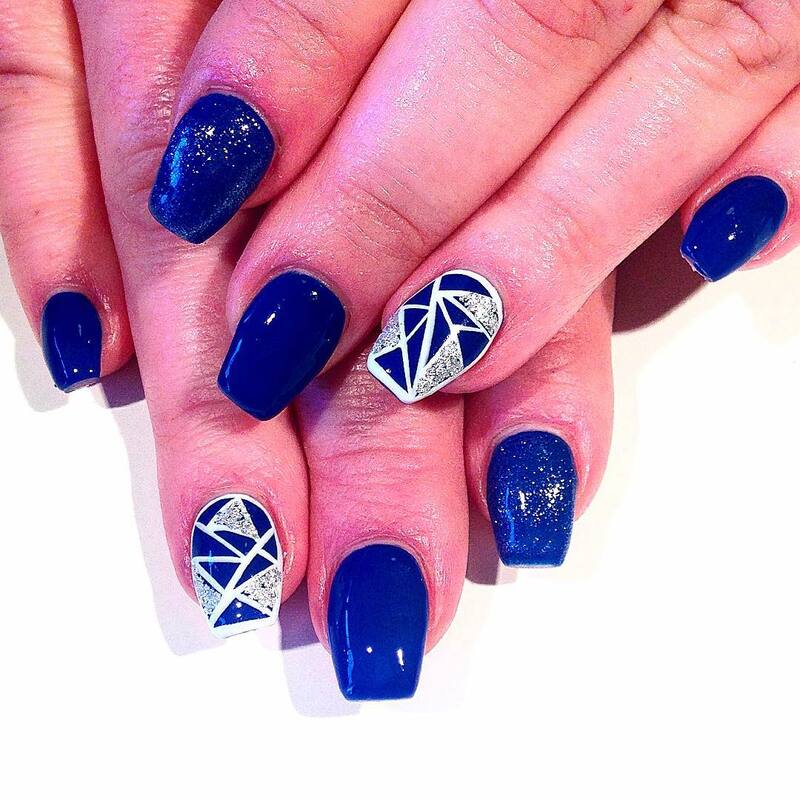 You can add glamour to your nail art design by coating your royal blue nail polish and add rhinestones on it. 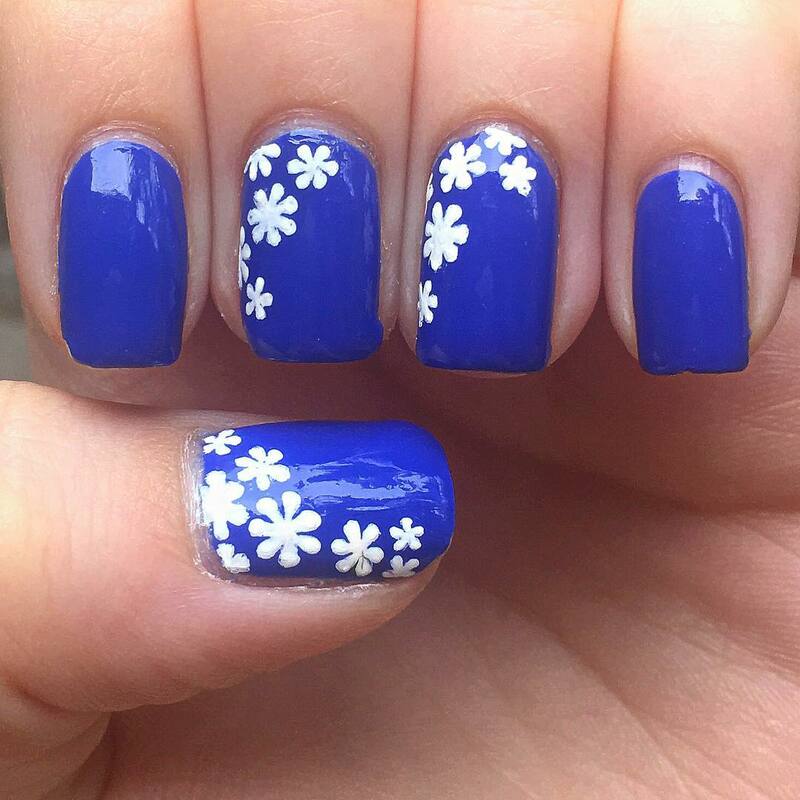 Adding floral patterns and pearls on the nails will unleash the beauty of blue and white. 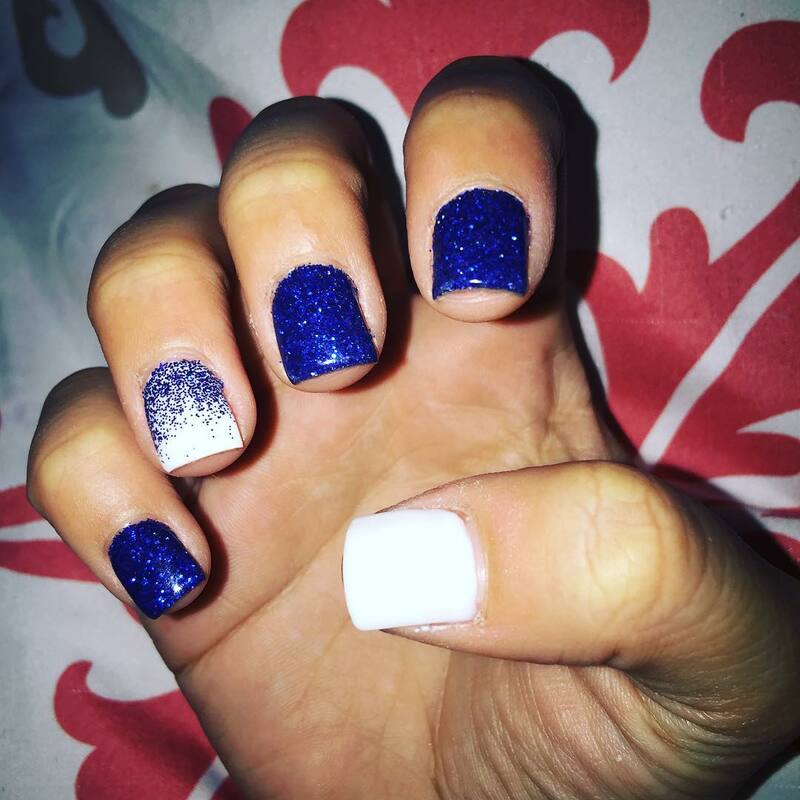 For girls who are having pretty dark blue nail design on your nails, you can twist it a little by adding patterns in gold glitter. 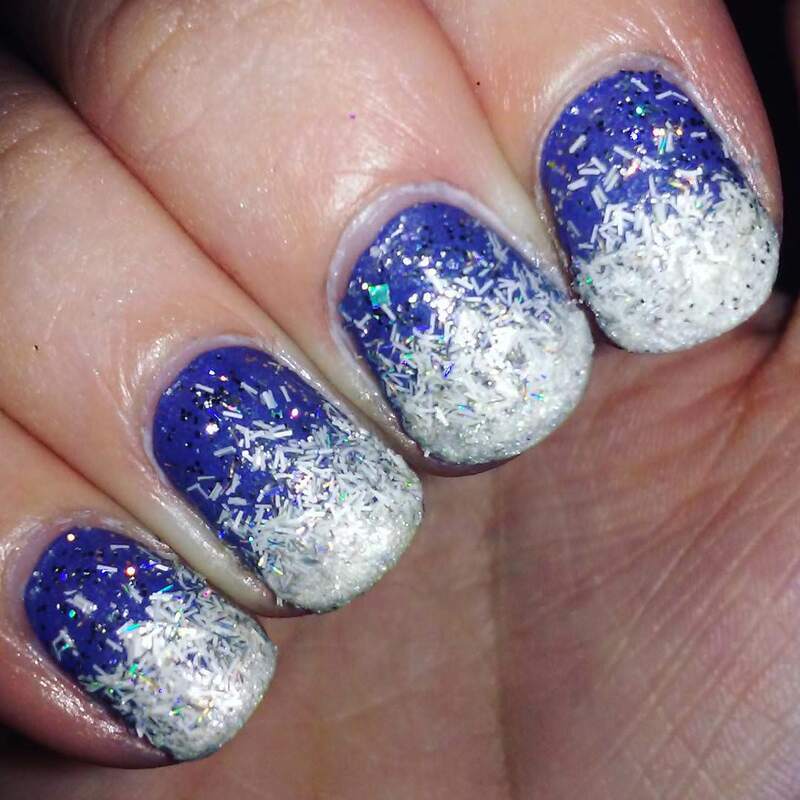 You can make different patterns and fill it with glitter. 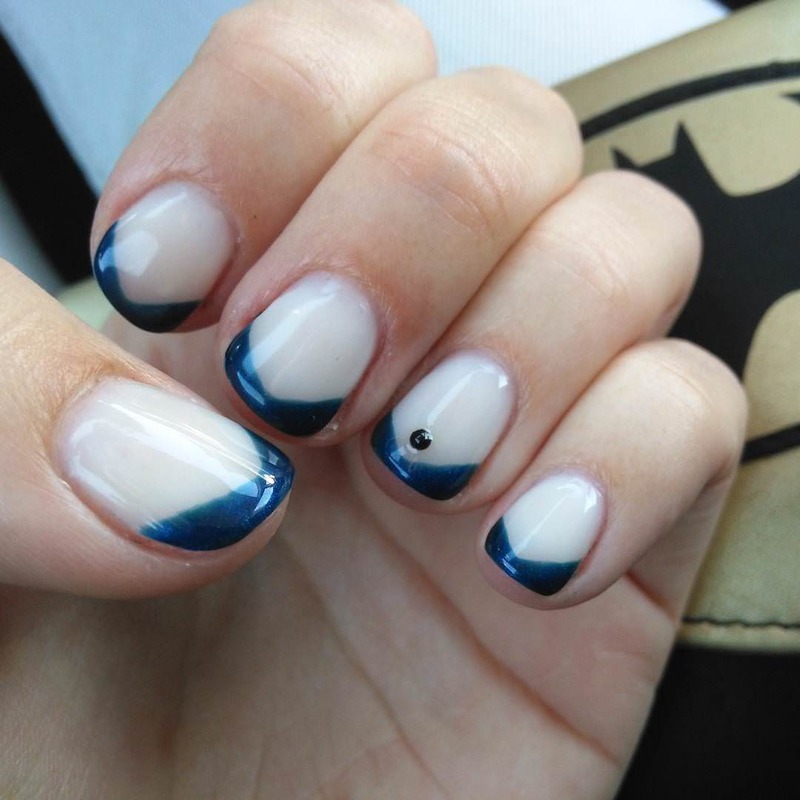 Adding new objects or using the shade of dark blue will make your nail art looks more royal and classy. 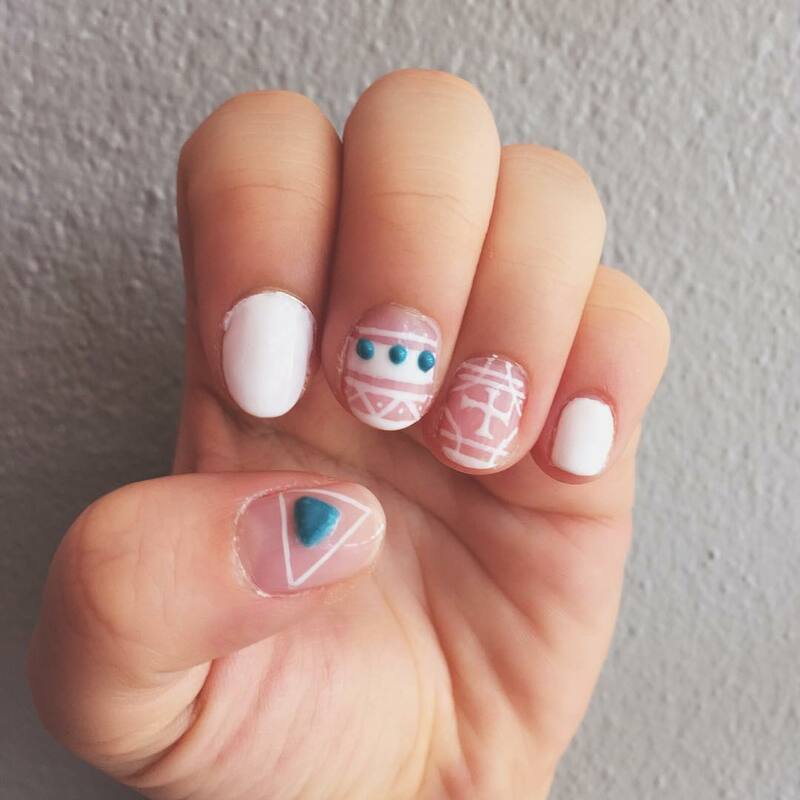 You can use stickers or stone studs to create 3D press effect on your nail art. 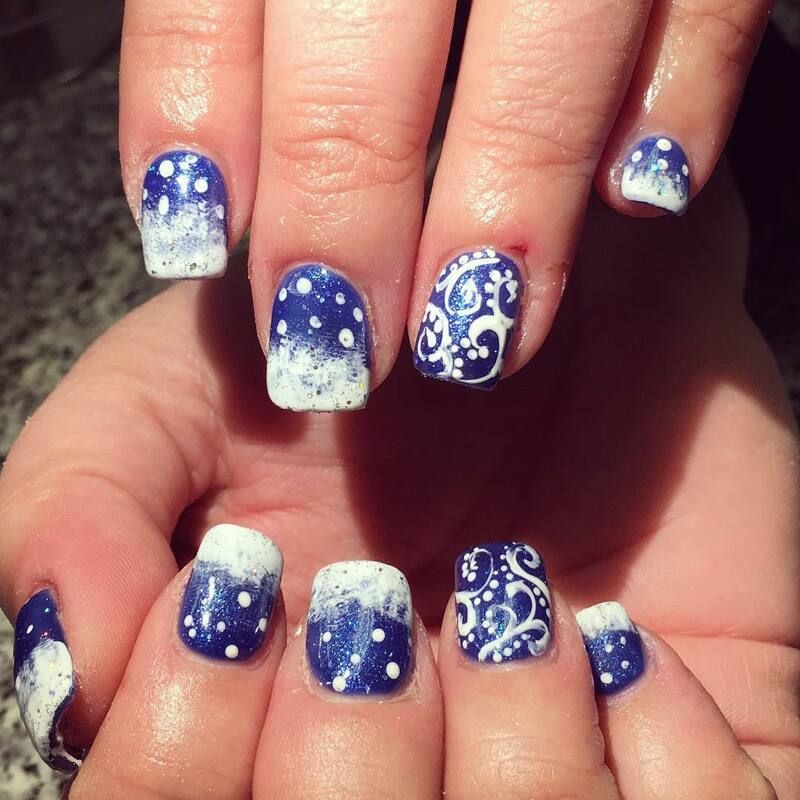 This nail art has a shining snowflake pattern on it that looks really stunning. 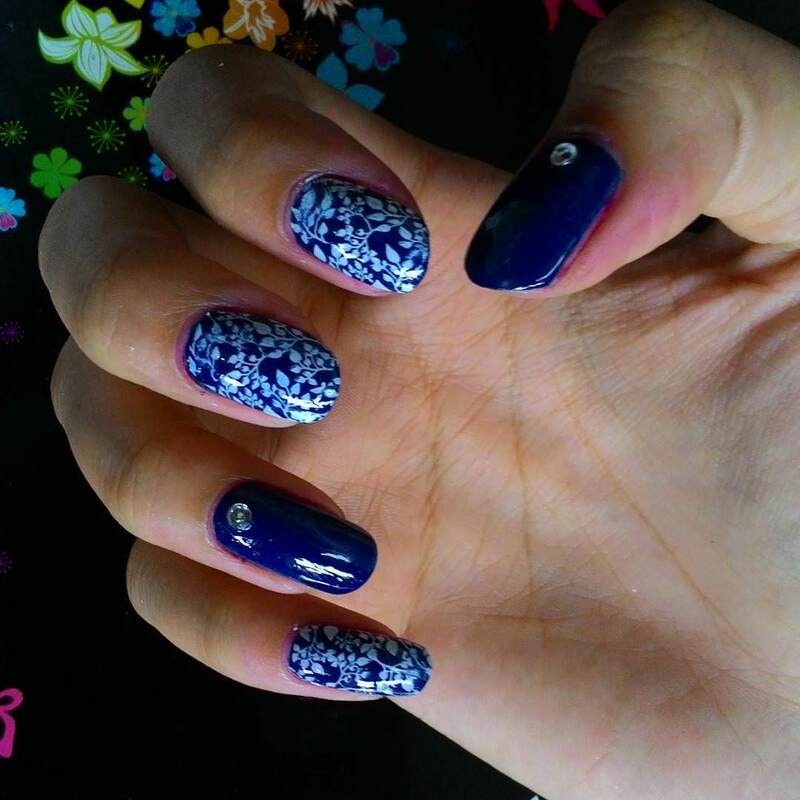 This monochrome design in royal blue has nice glitter effect that makes it look wonderful on nails. 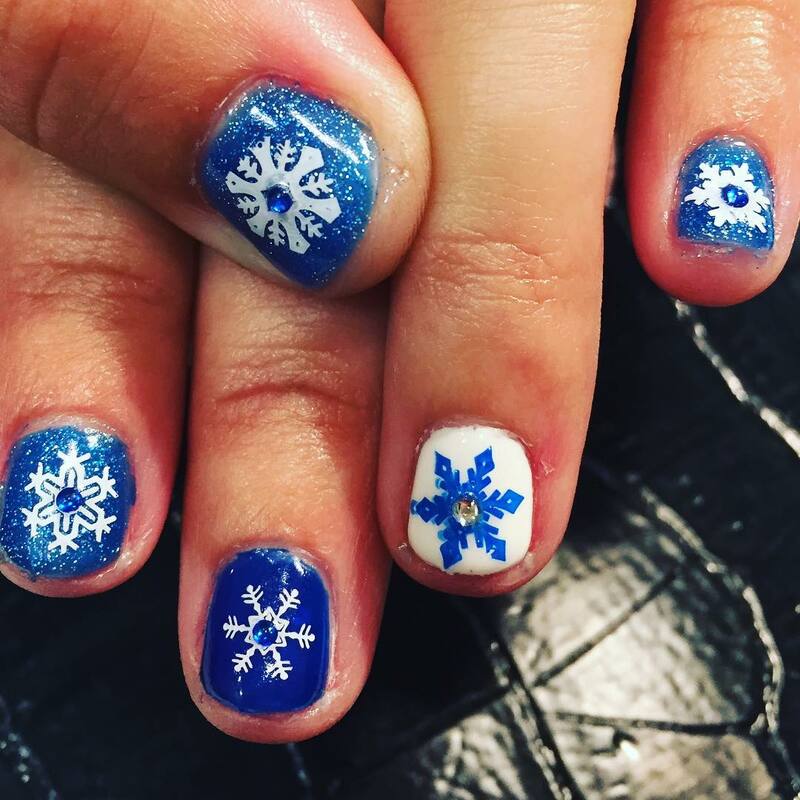 With cute patterns like the snowflakes, this nail art style has hogged limelight in the style scene. 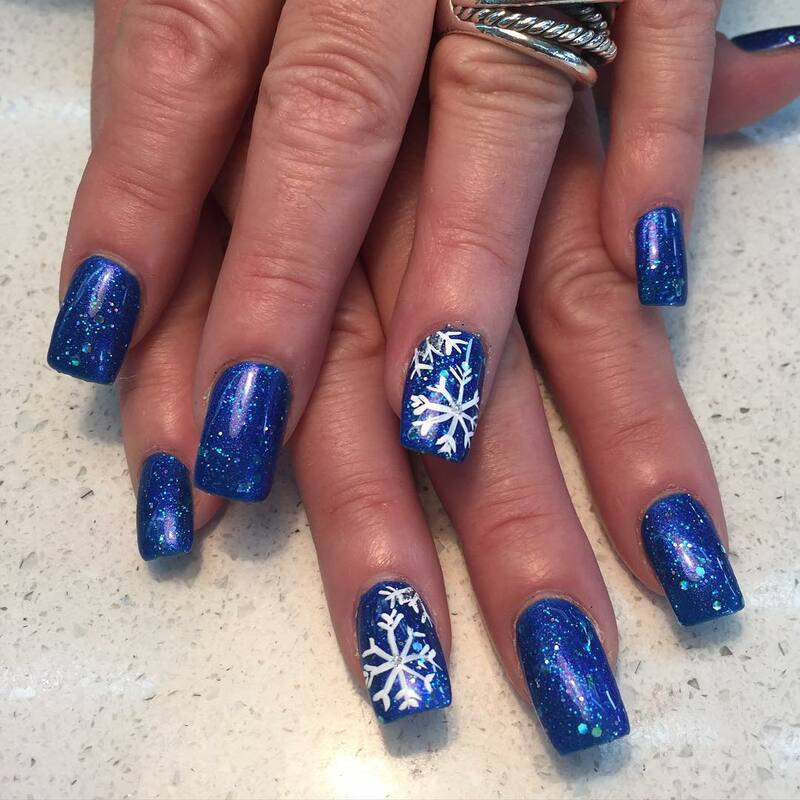 With several snowflake stickers available you can stick them to your nails for better results. Bring in the beauty and endearing effect of polka dots by trying out this cool looking design that looks uber chic and classy. 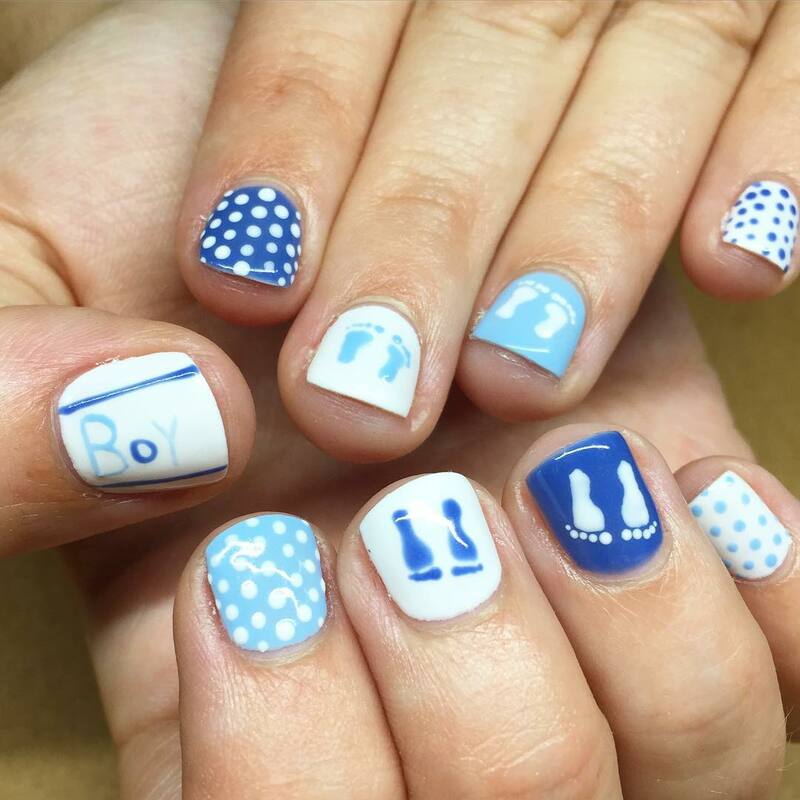 Use your creativity to make blue polka dots in this theme nail art. 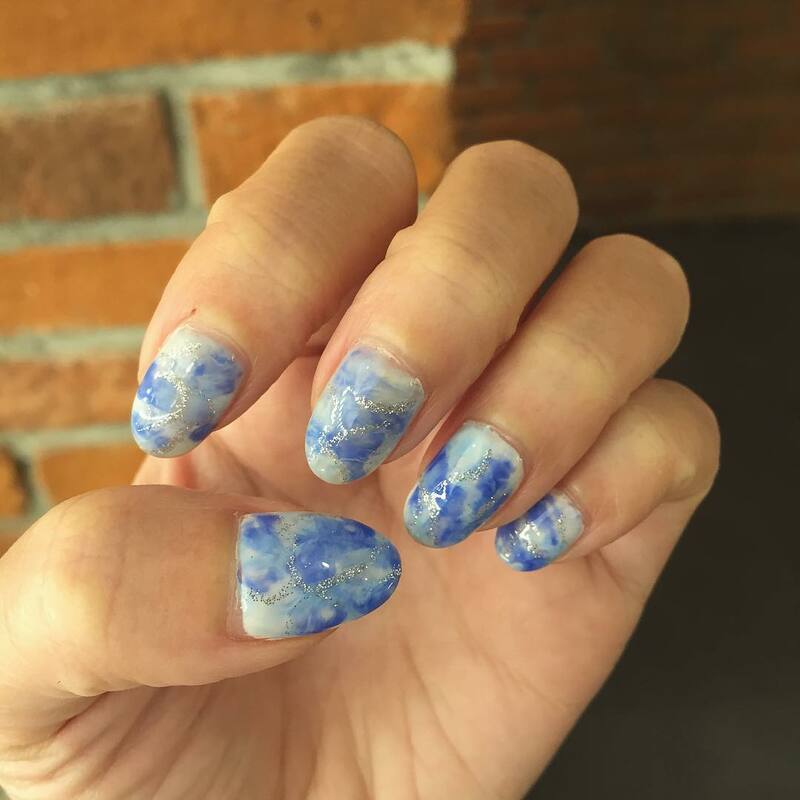 For girls who like simple nail art designs, you can go for this blue and white thermo chromic nail art that is an epitome of elegance in the nail art realm. 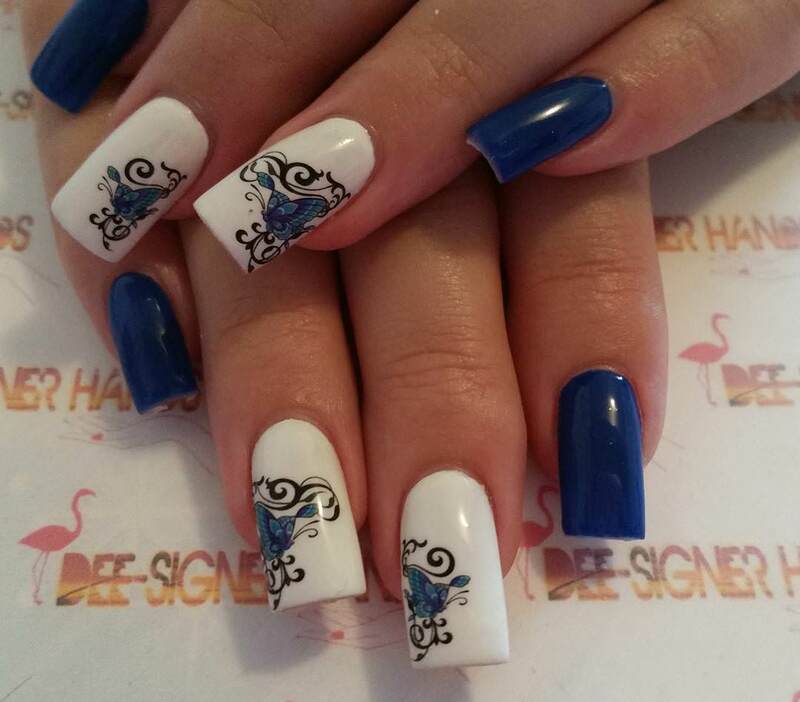 Blue and white designs are rocking the market till date amazingly. The ultra-glossy finish makes the nails more gorgeous. 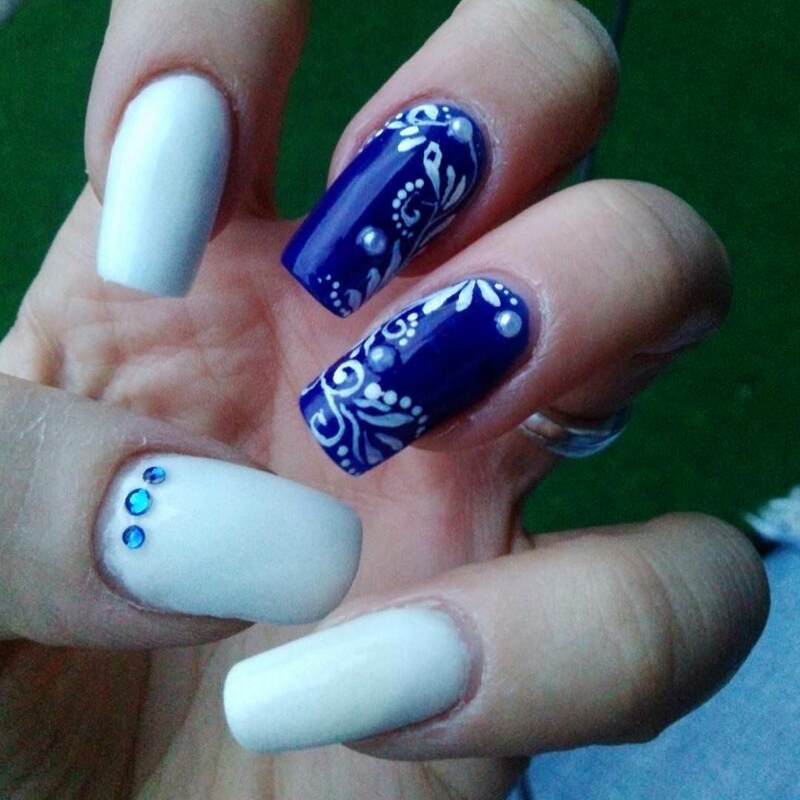 Different kinds of designs are now available in case of blue and white nail designs. 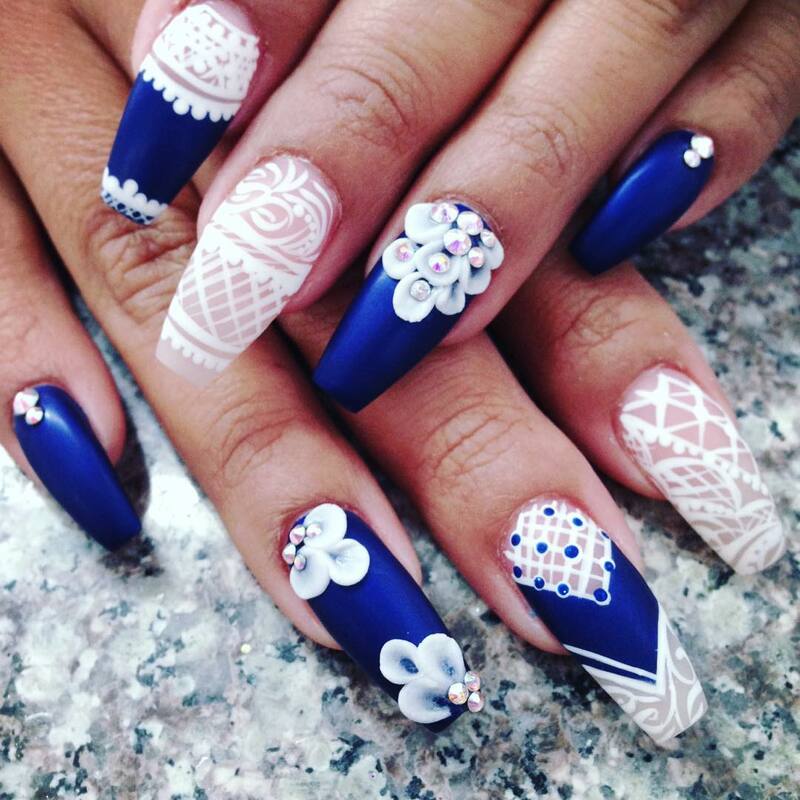 Stones, glitters and other nail ornaments can be put on the blue and white nail designs. 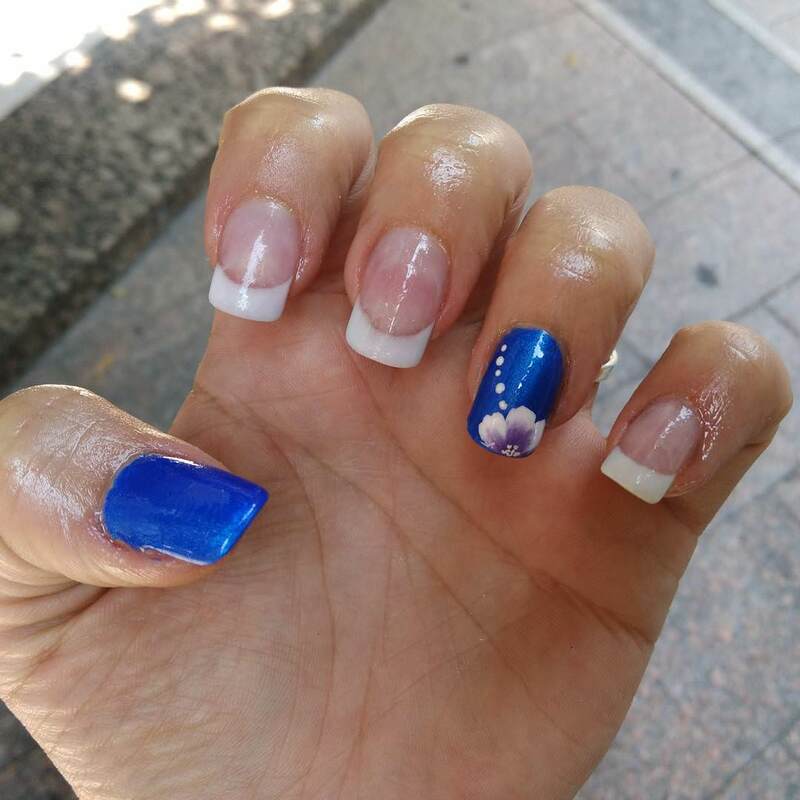 There are huge varieties of blue and white nail designs easily can be noticeable in everywhere. 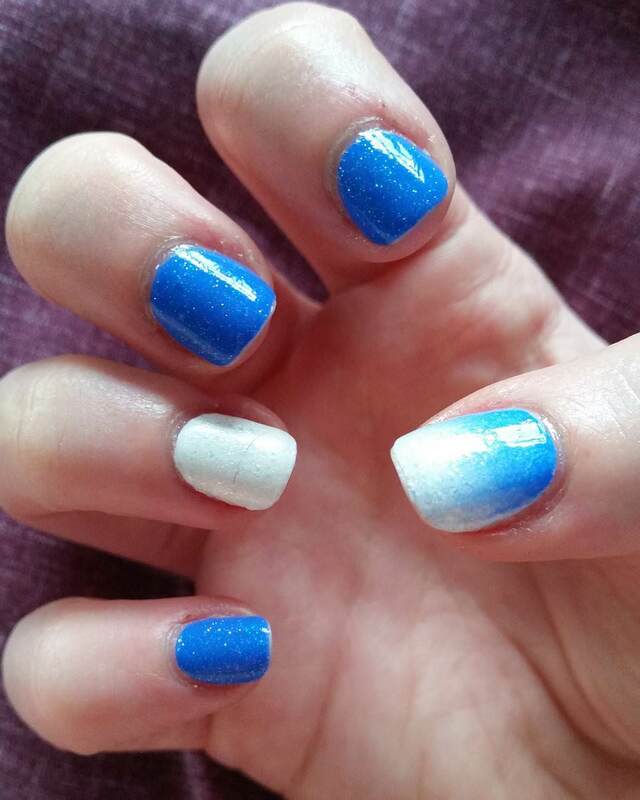 Applying blue and white nail colours you can get a design even as your own choice too. 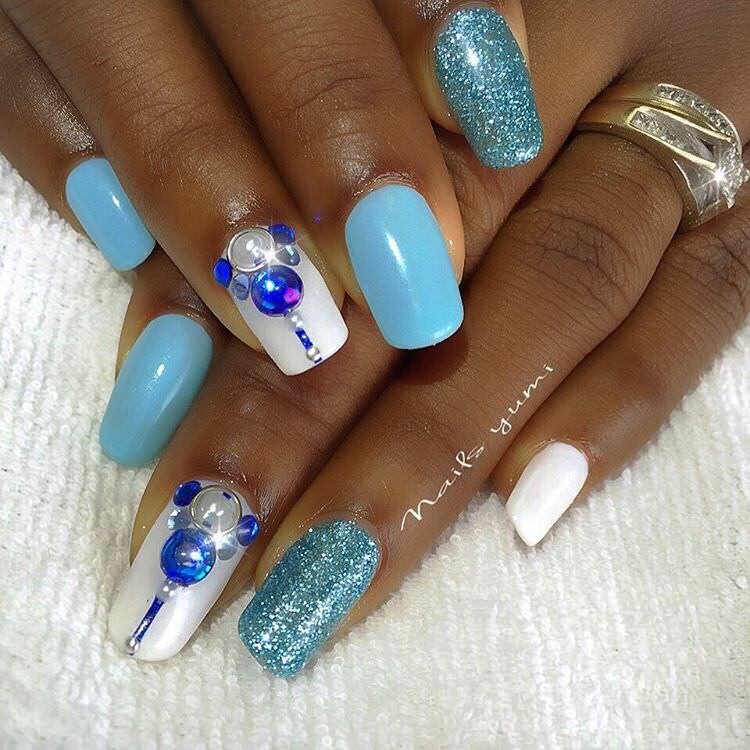 Almost forty stunning blue and white nail designs are having huge fan followers nowadays in all around the world. 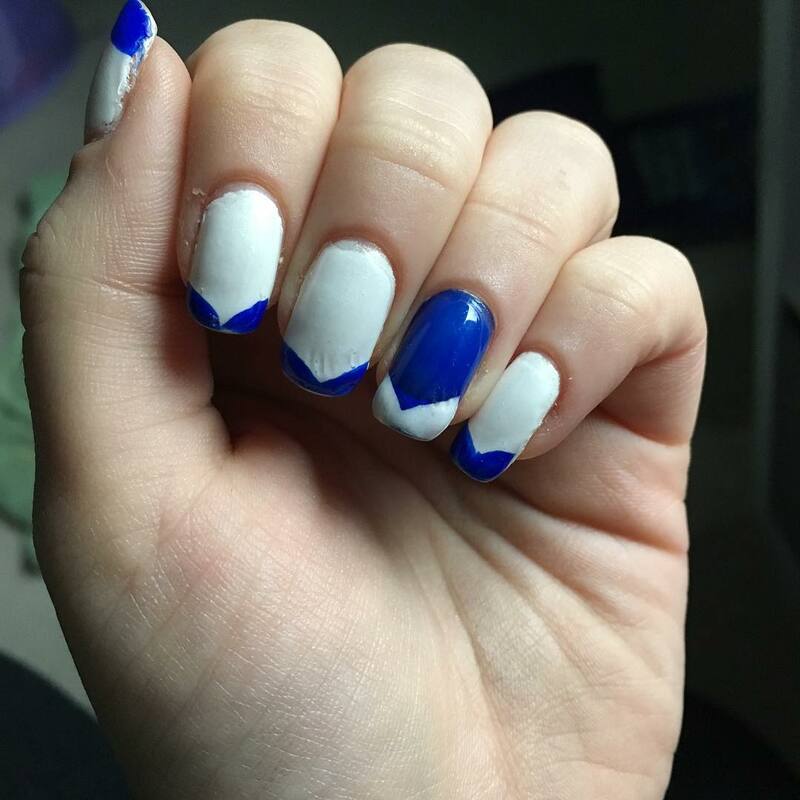 Get a blue and white nail design according to your style statement and the circumstances too. If you are planning to party with pals then go for the gorgeous blue stripes or the gorgeous blue paisley designs. Blue leopard print adds extra boldness to your personality. 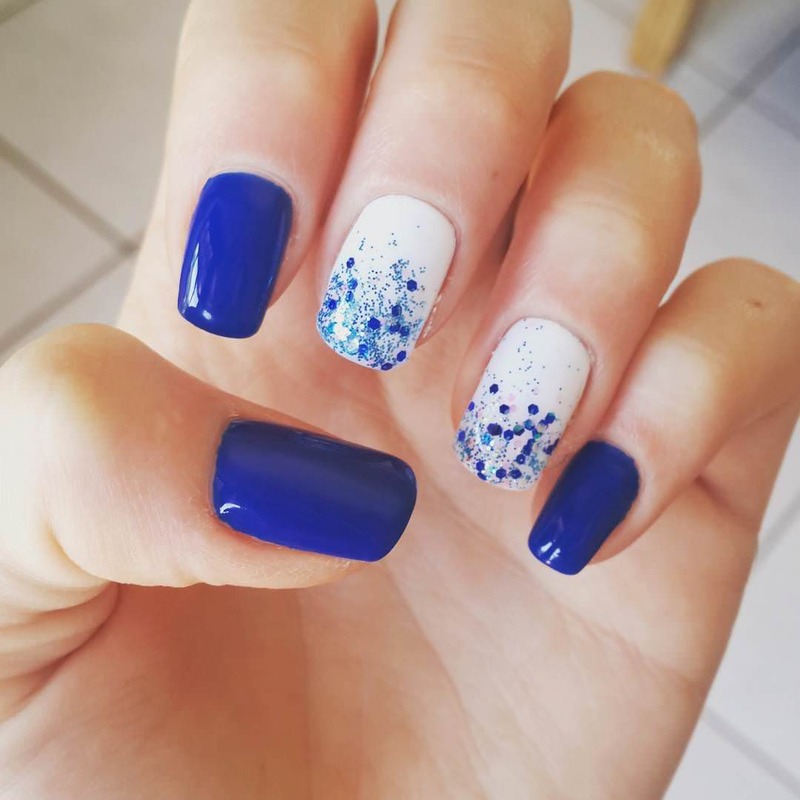 Glittering blue and white nail designs add extra charm on your nails as well as your personality.